RRsat's live broadcast of 2013 Summer Universiade. 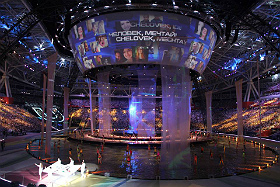 events and programming in HD for The Global Video Network (TGVN), a fully distributed entertainment network owned by BTI Events. 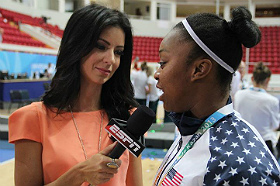 The games and supplementary materials were delivered from Kazan, Russia to ESPN for broadcast on ESPNU and ESPN3. FISU Summer Universiade is an international sporting and cultural festival that is staged every two years in a different city. 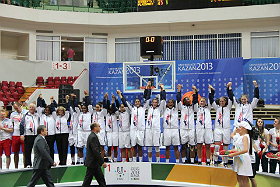 Almost 10,000 student athletes, representing universities from about 160 countries throughout the world, participated in hundreds of games and events over the 12 days of the Universiade. RRsat was engaged by TGVN to deliver 65 live games as well as additional programming to ESPN, using cost effective solutions that successfully delivered up to 4 simultaneous live events. RRsat mobilized its considerable capabilities to meet the challenges of simultaneously broadcasting multiple events live in HD. Resources from RRsat teleports in Hawley, Pennsylvania and in Israel, were activated in concert to ensure that delivery of all events would be seamless. “In RRsat, TGVN found an outstanding partner for delivering live Summer Universiade games from the city of Kazan in HD,” said Craig Jonas, COO of TGVN. "RRsat met our rigorous demands to deliver multiple games concurrently in real time, together with supplementary material, without a hitch—and at reasonable cost."